I’ve completed another Circleville NSD Online Challenge! Yippee! This one called On Pins and hosted by Sis from http://www.papercraftscissors.com is all about creating a project based off one of your favorite Pinterest pins. 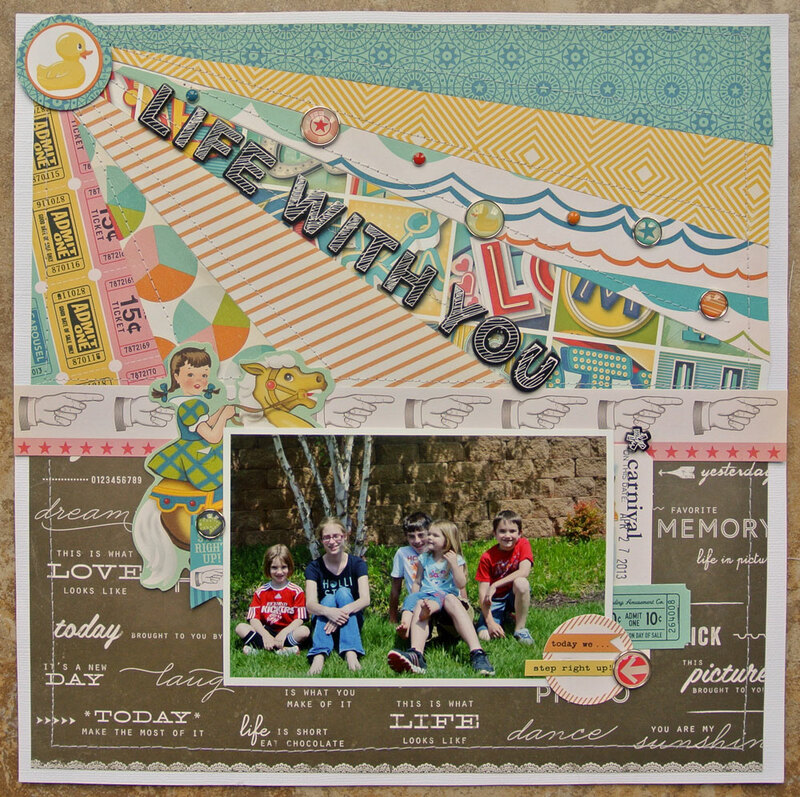 I chose the fabulous Hello Silly layout by Nancy Damiano. My pin can be found here. I stayed pretty true to her layout. With that sunburst of paper why change anything? I did use brads in place of her flair, but it’s what I had to work with. And I think they work. Yes, life with these kids is certainly a carnival. Surely you’re not insinuating that someone had a particular flair that YOU didn’t have : O …say it aint so!!! This is a super-duper, AWESOME layout! Love this layout – it is perfect! Placing the title to radiate from the sun is such a great idea! Love this whole page!! The concept, the photo, the style, the cuts! Just perfect to see on Mother’s Day! Love it!! !